Speaker positioning is one of the critical aspects in optemizing the performance of any high performance audio system. KEF Performance Speaker Stands were carefully crafted by KEF's UK acoustics engineering team to ensure your bookshelf speakers sound great. The KEF Performance Speaker Stands feature dampening base plates and a hollow central column that can be loaded with our optional inert filler for a truly uncolored sound. Each stand features a simple and elegant style that allows it to blend in neatly into the decor of any home, and all three colors of the KEF Performance Speaker Stands are paint-matched to the finishes of the LS50W. An integrated cable management system allows a myriad of cables to be hidden away within the stands to create a clean look, ideal for bookshelf speakers that are connected to a wide range of audio sources. Stands are sold in pairs and do not come with mass loading sand. The KEF performance speaker stands feature dampening base plates and a hollow central column that can be loaded with our optional Inert filler for a truly uncolored sound. An integrated cable management system allows you to hide away cables within the stands to create a clean look. 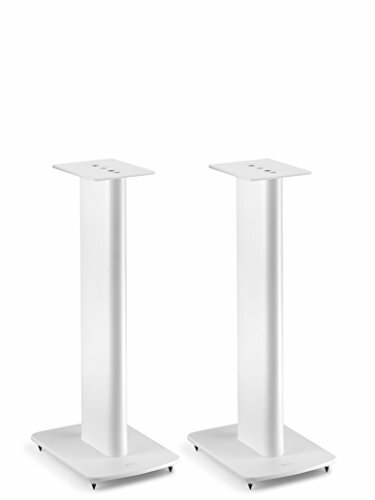 All three colors of the KEF Performance Speaker Stands are paint-matched to the finishes of the KEF LS50W. Stands are sold in pairs and do not come with mass loading sand.